As Baby Boomers reach traditional retirement age, the issue of age will become increasingly prominent in our society, including in the workplace. Better health, higher life expectancy, financial concerns, and the desire to continue to be active and productive impel workers to keep working longer. This places them increasingly in direct competition with younger workers for available jobs. Workers are not just working longer because they need or want a job—employers need them too. 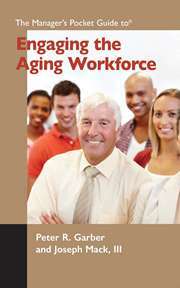 The loss of the skills and experience of older workers who are able and ready to retire poses a challenge for many employers in an era of lean staffing where there often are no second stringers on the bench ready to take the places of retiring workers. Thus, employers are faced with the reality of an aging workforce and the growing dilemma of how to take the fullest advantage of their older workers. Unfortunately, however, the subject of the older worker is one that many company managers find difficult to discuss openly. Any suggestion that age and performance are somehow linked is fraught with peril in our litigious society. Perhaps it is time for a frank dialogue on this subject. Is there any truth in the notion that performance on the job usually declines with age? The authors believe that, except in certain occupations (e.g., professional athlete), there is no inherent link between performance and age. On the other hand, it is obvious that in many instances the overall effort and performance level of the longer service employee often does not match either his or her previous level or that of his or her younger peers. Many reasons can be cited for this phenomenon. We believe that the main reason is loss of engagement—the loss of the desire to perform at the highest level possible each and every day.